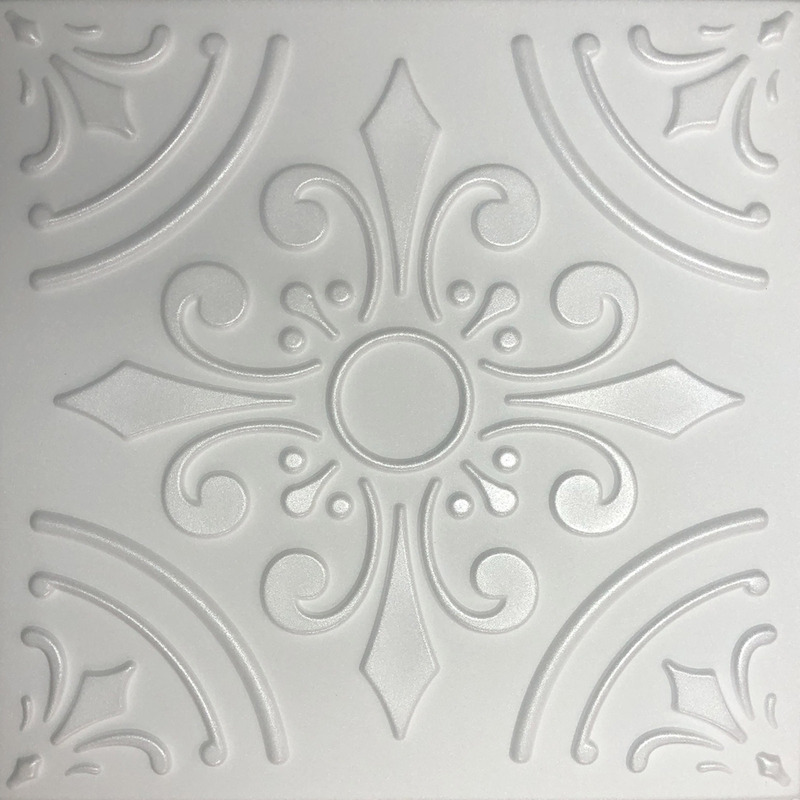 Antique Ceilings - StyroDecor - Decorative Ceiling Tiles made of Foam and PVC Online Superstore. Currently, for limited time only, we offer Free S&H via UPS or USPS for Orders within the 48 Continental USA States for qualifying Orders. Orders of 100 or more ceiling tiles will qualify for this current offer. The ceiling tiles can be mixed in different designs and finishes. Pease select Free S&H during checkout if your order qualifies. This offer is not valid and cannot be combined with any other offers, coupons, or discounts. Please contact us at 1-866-988-4537 or at info@AntiqueCeilings.com with any questions. All orders in stock are shipped within 72 hours unless otherwise specified. Our default shipping method is UPS and USPS. Some orders may, however, be shipped via FedEx. Wholesale order of 5,000 or more ceiling tiles might be shipped freight. You may call us at 1-866-988-4537 with special request as well as enter instructions during checkout via our online store. We take great care when processing and shipping each and every order. All orders of ceiling tiles are prepared then counted and recounted by two separate personnel which ensures that the correct design, finish, and quantity is being shipped. 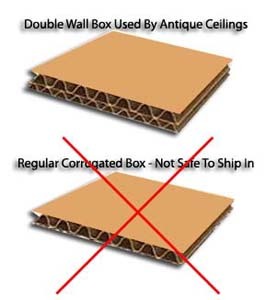 We package our decorative ceiling tiles in double wall boxes that provide maximum protection during shipment. 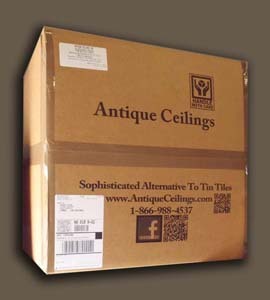 These specially designed boxes carry our company Name - Antique Ceilings - , Contact Info, as well as Fragile logo. We spare no expense for making sure that your order arrives safely and quickly. The shipping rates are calculated based on the destination that the order is being shipped to. Average rates for shipping within the continental 48 USA states are as follows. Please note however, that the exact shipping rates might be different and will be displayed during checkout. Why is shipping so expensive... or is it? The total of $39.12 that is being charged by UPS to ship this order is well over the amount we have charged. FedEx rate for the above comes up to: $35.58 and USPS to: $41.54. The above fee does not even includes any of the additional cost of custom boxes, packaging material, or labor that is required to process and package the order. 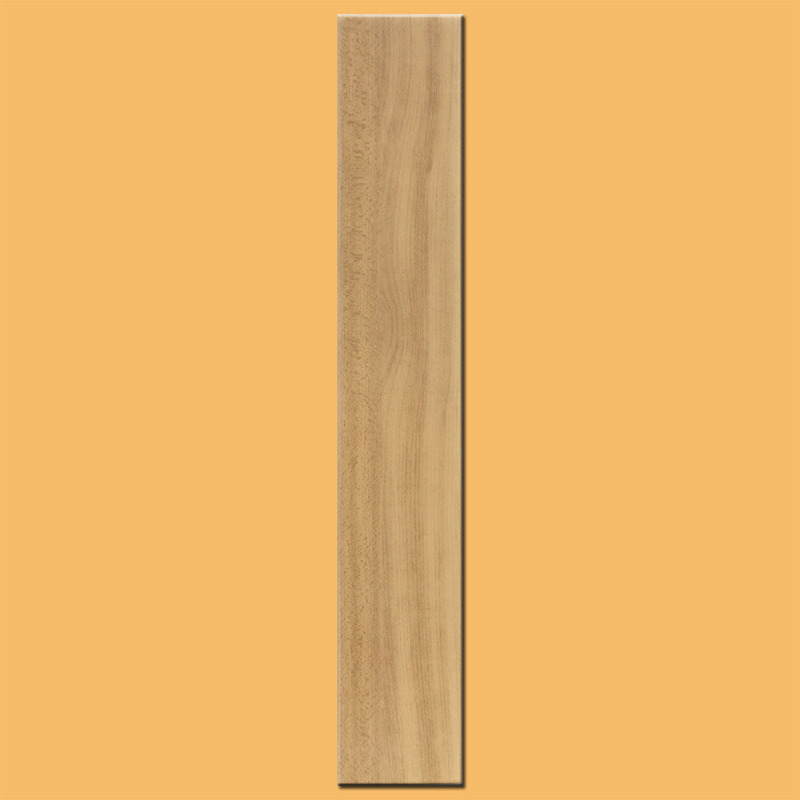 We all at Antique Ceilings Inc work very hard in order to make sure that our ceiling tiles are affordable for any budget. You are welcome to check the rates by visiting www.UPS.com and to do so please use our zip code: 34667. We are sure that you will find out that our S&H fees are very competitive. Our products are custom finished and packaged when orders are received. Antique Ceilings will gladly give either a store credit or refund if you are unsatisfied with your purchase. In order to provide a store credit or refund, the tile(s) must be received in new condition. The Return deadline on regular stocked merchandise is 30 days from the time the merchandise is received. We recommend that you purchase shipping insurance when returning products. All refunds maybe subject up to a 10% restocking fee. The customer is responsible for shipping costs, and original shipping will NOT be refunded. We reserve the right to not accept returns. All sales totaling $1000 or more are final - Sorry, NO Returns or Exchange. 16550 Scheer Blvd - Ste: 4. Please email us at info@antiqueceilings.com or call our customer representative at (941) 726-0417 with any questions or concerns. This was an awesome help and cost effective solve to a probl ..